The Supreme Court had reportedly said the perks to MPs seemed 'prima facie' unreasonable. New Delhi: Drawing the line between the roles of the executive and the judiciary, Finance Minister Arun Jaitley today said parliament alone has the authority to approve how public money is to be spent and it alone can legislate on how much pension MPs can draw. "It is an unquestionably clear constitutional position that public money can be spent only after authorisation of Parliament. Therefore, Parliament only can authorise how public money can be spent. No other institution can exercise that power," he said. Mr Jaitley's comments in Rajya Sabha came after opposition MPs raised the issue of the Supreme Court's reported comments that 80 per cent former lawmakers are 'crorepatis' (millionaires). "It is the exclusive domain of Parliament" to decide who is entitled to government pension and how much, Mr Jaitley said. This is the constitutional position "which all institution will have to eventually accept." Earlier, Samajwadi Party's Naresh Agarwal (SP), through a point-of order, raised the issue saying the image of the MPs is being sullied as if they are appropriating huge public monies as salaries and pension without working. He said some former MPs are living "a pauper's life", with the children of a former lawmaker in Uttar Pradesh working as labourers and artisan. Congress leader Jairam Ramesh said he was astonished to read that a survey had found that 80 per cent of the ex-MPs were millionaires. As Deputy Chairman P J Kurien asked him to seek remedy in the courts and not criticise the judiciary, Mr Ramesh said 80 per cent of the present MPs would not be millionaires when their term comes to an end. 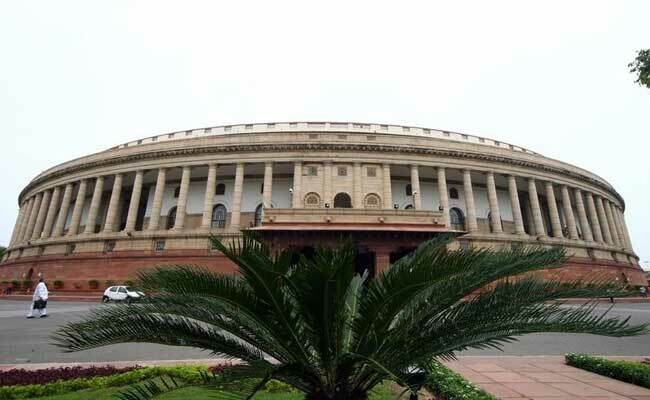 The Supreme Court had on Tuesday reportedly said the pension and perks to MPs seemed 'prima facie' unreasonable and had sought responses from the Centre and the Election Commission of India on a plea seeking the scrapping of pension and other perks being given to Members of Parliament.